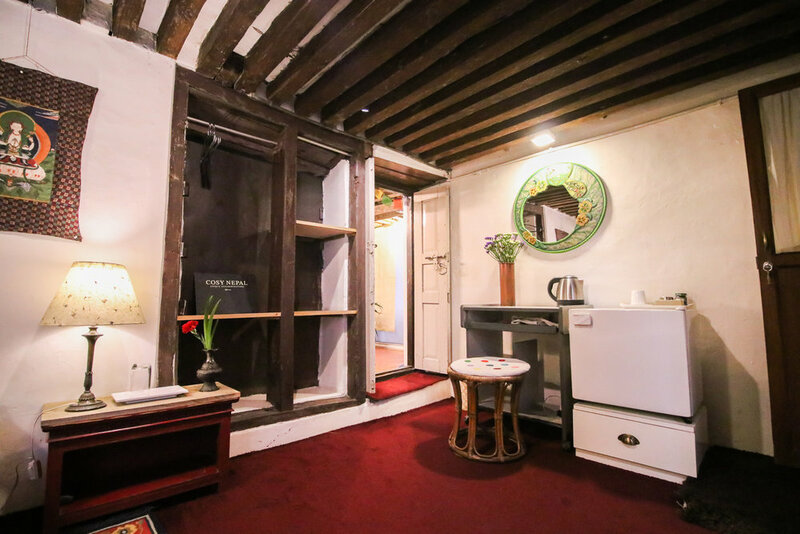 Single bedroom with bathroom and access to the shared kitchen. A good value for money and the chance of living in Prakash and Pramila’s place in the old Patan. On the left family kitchen where you can reach Prakash & his family. From the windows, guests will overlook small internal courtyard. just after the entrance there is a small fridge and a small study table. clean and modern bathroom in small room. front facade of Dhakhwa House. entrance door to Dhakhwa House with prayers flags hanging on top. In addition of being a beautifully renovated old Newari house, the real strength of this accommodation lies in its hosts: Prakash and Pramila welcome you with all their heart, their generosity and their sense of hospitality. They will be happy to help you out with good advices and share their Newari culture with you. Luckily, Pramila is also one of the best cook in town! By ordering a day in advance, you can book breakfast, Nepali Daal Bhat or Newari experience. 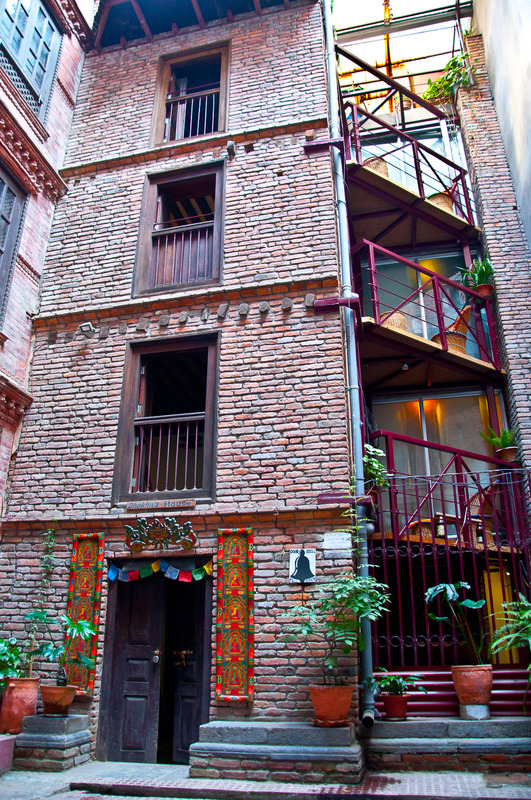 • 15 min walk away from Pulchowk, U.N.
House, Sanepa area, Kupondole area.